Each week I come across so much inspiration whether it be through blogs, Instagram, magazines, in person and so many other ways! I think we can all use a little inspiration in our lives so here are five of my favorites things from this week. This week I'm loving everything Kravet! Kravet was founded in 1819 and has everything from furniture, fabric, accessories, wall coverings and more. They just released a line with celebrity designer, Thom Felicia that is great! I love the lines of this Asta Side Table from their Bunny Williams line. It's got a lot of special details but is the type of furniture that is classic and will never go out of style. It would look good in living room or bedroom- lots of possibilities! 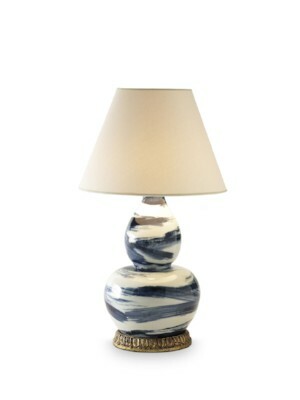 This Brush Stroke lamp is just beautiful! With the hand glazed ceramic this would be a perfect statement piece in a room. This Duet Tufted Back Banquette would look so good in a breakfast nook or even in a formal sitting room. I love the detail that the tufting adds and it can even be made with a dressmaker skirt if wanted. I'm also loving two of their fabric lines: Lee Jofa and Merkato. Their Lee Jofa line has some beautiful linens, stripes and lots of fun, but understated patterns. 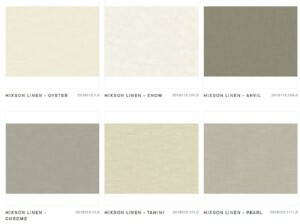 Their Merkato line has some great patterns that would be beautiful pillows or window treatments. So those are a few things I'm loving this week- I hope they inspire you too!